Tombstone, Arizona is just a short drive away from Tucson and offers Tucson residents tons of fun activities and attractions. Visiting Tombstone is a great way to spend a Saturday and enjoy some unique sights while learning more about Arizona’s fascinating history. Although it’s most famous for being the location of the O.K. Corral and the legendary shootout between the Earp brothers and the Cowboy gang, there’s more to Tombstone’s history than gunsmoke and brawls. The city is almost 140 years old and was originally created by a prospector named Ed Schieffelin. His friends doubted his abilities as a prospector and speculated that his tombstone would be all he’d ever find. They were wrong. Ed found a hunk of silver which was in the area that would eventually become one of the most famous cities West of the Mississippi. It didn’t take long for word of Ed’s silver discovery to spread. People flocked to the city with dreams or striking it rich. Despite two fires, the town flourished for many years. In 1881, the most famous gunfight in history took place, earning Tombstone a place in the history books. The victors of that gunfight continue to be an important part of Western lore. The great thing about living in Tucson is that all of the fun Tombstone AZ attractions are just a short drive from home. 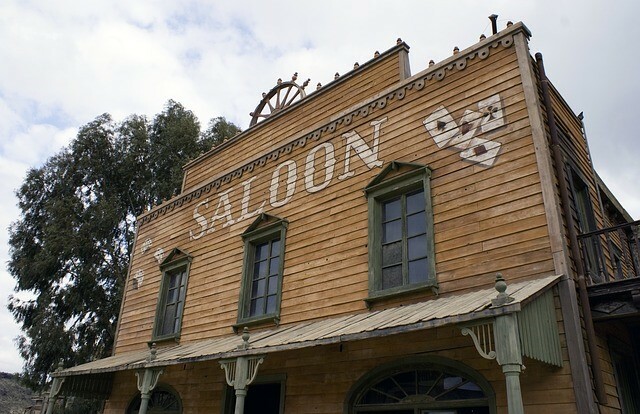 If it’s your first time visiting Tombstone, here are some attractions you won’t want to miss. Some of the most infamous members of Western lore have been buried in Tombstone’s Boothill Graveyard. Visiting the graveyard is one of the best ways to truly understand how difficult life was during the late 19th century. Without a doubt, the most popular of all the Tombstone AZ attractions is the reenactment of the Battle of the OK Corral. The actors do an excellent job recreating the showdown and it’s a wonderful way to really connect with history. After the event, many of the participants will happily answer questions. This quaint little theater does an excellent job of showing films provides insight into Tombstone’s history as well as local Western culture. You’ll leave the theater with a better understanding of Native American tribes and silver prospectors. Since there’s so much to do in Tombstone you’ll want to sit down and make a list of the Tombstone AZ attractions you most want to see. Pay careful attention to when they open, and create an itinerary that allows you to see and do everything. Finally, don’t forget to take some pictures of your adventures to historic Tombstone, AZ to share with all your friends and family.